Feeling a little out of style? 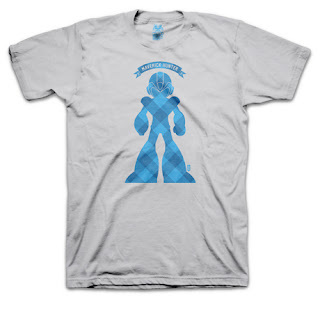 Feast your eyes on this "Reploid X" shirt from Bitmapd.com. As you can see, it's a stylized representation of Mega Man X, straight out of X1's famous introduction cutscene. Nifty, no? You can order it for $18.95 USD here at Bitmapd.com. Thanks for the heads up, Gerard! If I were Scottish This would be great for me.